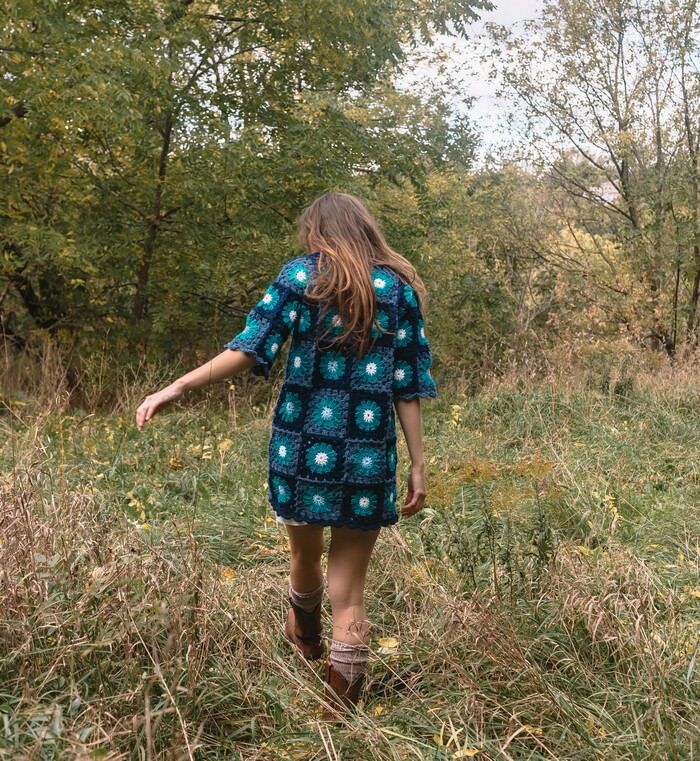 Hand made crochet tunic dress from recycled and reclaimed yarn. Material is a mix of what feels like soft acrylic and wool. Tunic will relax and lengthen with wear as the seams and stitches settle. 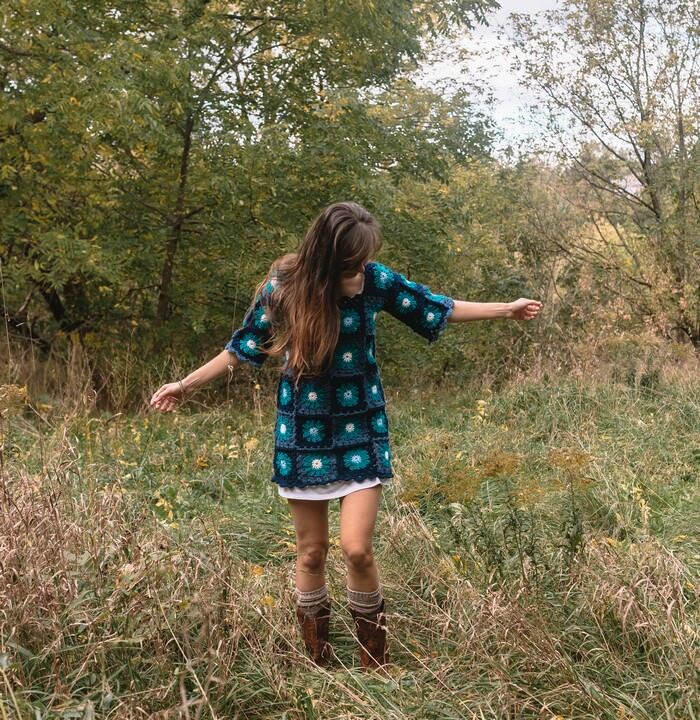 Shift style tunic/dress. Shoulder to hem – 29 inches. The nature of crochet is that it has a bit of stretch and give.